Bigfoot Legend and author, Joe Beelart, will make a rare public appearance at HopsSquatch on July 20th, 2014 from 12:30-4pm at the Quimby Lucky Labrador. Don’t miss a chance to see this legend in Bigfooting who keeps a low-profile online. 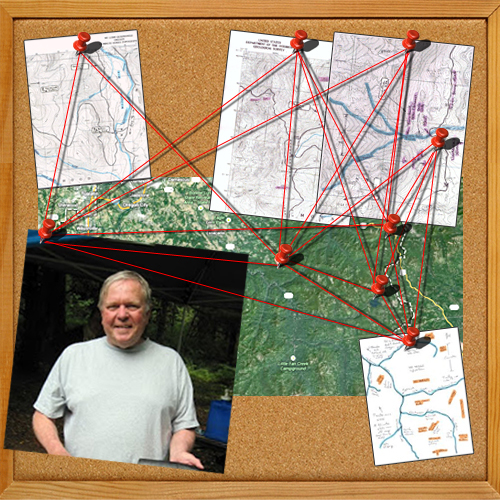 The area around the Clackamas river is probably the most significant area for Bigfoot activity, and it is undisputed that Joe Beelart is the foremost luminary on the topic. In fact Finding Bigfoot's Cliff Barackman calls him "King of the Clackamas, the Clackamaster himself." Author of several books, his newest book will catalog the most significant sightings in the Clackamas area. "Bigfoot up the Clackamas" is filled with stories of sightings, terror, and tales of wild adventuring. Joe Beelart will discuss his book and inform us on his relationships with Bigfoot research legends that are no longer with us. Following the speaker will be a moderated question and answer period and discussion panel. Guy Edwards from Bigfoot Lunch Club will act as moderator. Become Bigfoot insiders learning the building blocks of Bigfoot research while having a beer with other Bigfooters. For more information, please contact Guy Edwards at Guy.Edwards@BigfootLunchClub.com, 503.929.7436 or register online at HopsSquatch.com.